Is your school at risk for a cybersecurity incident? In this webinar, we’ll discuss how to assess your school’s cybersecurity profile and develop a plan to improve your school’s cybersecurity posture. You’ll come away with ideas, best practices, and resources. 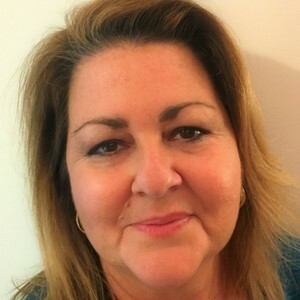 Susan Bearden is the Chief Innovation Officer for the Consortium for School Networking, a membership and advocacy organization for school technology leaders. A former independent school technology director, she led the 2017 update of the U.S. Department of Education’s school infrastructure guide and co-moderates the popular #edtechchat Twitter chat. Learning Objective: Attendees will be able to identify best practices for a cybersecurity plan development or update. Recommended CPE Credits 1.0 in Computer Science. MISBO is registered with the National Association of State Boards of Accountancy (NASBA) as a sponsor of continuing professional education on the National Registry of CPE Sponsors. State boards of accountancy have final authority on the acceptance of individual courses for CPE credit. Complaints regarding registered sponsors may be submitted to the National Registry of CPE Sponsors through its website: www.nasbaregistry.org. For more information regarding administrative policies such as complaint, refund, and cancellation, call the office at 404-921-3812 or please use the following link: MISBO Webinar Administrative Policies.